Histamine intolerance is a theory that diet influences blood histamine and allergy-like symptoms in susceptible individuals. Other: brain fog, fatigue, irritability, headache, rapid heart rate, blood pressure changes, etc. 1) Low levels of diamine oxidase (DAO) enzyme: histamine in food is broken down in the digestive system by the diamine oxidase enzyme. If DAO is not working properly, the individual may be more likely to absorb dietary histamine. 2) Histamine releasing foods: Certain foods (such as egg white and strawberries) are suggested to release histamine in the digestive system which would then be absorbed into the body (especially with low levels of DAO). If an individual is susceptible as described above, a diet low in histamine and histamine releasing foods will improve symptoms. There is very little research to support the histamine intolerance theory. There were some preliminary studies when the histamine intolerance theory was first proposed in Germany in the 1970’s/80’s, but there has been very little research since then. Dr. Janice Joneja (Immunology Ph.D. and Canadian dietitian) was one of the first health care professionals to translate this information and create English diet guidelines. I completed a Master’s of Science degree at the University of British Columbia (Dr. Joneja was one of my supervisors) in the mid-1990’s researching the Benefit of a Histamine Reducing Diet in Chronic Urticaria and Angioedema. In summary, around 20% of the low-histamine diet subjects had substantial symptom improvement, which is what we expected. Diet is one of many possible contributing factors to chronic urticaria (hives), so we did not expect everyone to improve. To my knowledge, there have not been any other studies looking specifically at a low histamine diet since this study in the 1990’s. Most information on this topic is an educated guess. Currently, there is not an accepted diagnostic test for histamine intolerance. Symptom improvement on a low histamine diet, diamine oxidase (DAO) supplementation or both is the only criteria for diagnosis. Essentially, it is a self-diagnosis. Diet is one of many possible causes of typical histamine intolerance symptoms. When someone has typical symptoms, they often assume they have histamine intolerance and need to follow a low histamine diet. 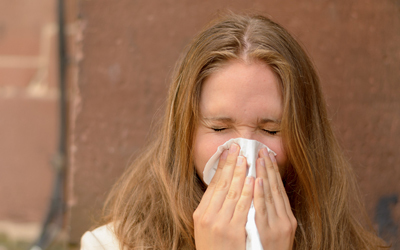 However, many factors can contribute to the symptoms (e.g., seasonal allergy). Just because the symptoms sound like histamine intolerance, does not mean that a low histamine diet is necessary. The only way to know is to trial a low histamine diet. Additionally, there are claims that a low histamine diet will lower total body histamine, which may be true for individuals with reduced ability to break food histamine down (e.g., low DAO activity). However, excess histamine from a different source (e.g., seasonal allergies), will not improve with a low histamine diet. Many people have reported symptom improvement with a low histamine diet, so a three-week dietary trial may be worthwhile. Even though there is very little research to support the theory, many people have reported benefit. The good news is that symptoms will improve quickly if the diet is going to help. A common recommendation is a three-week trial. See The Practical Guide to the Low Histamine Diet for further information. Thanks for the article and information relating to Histamine intolerances and DAO. I have symptoms that could lead me to the path of Histamine intolerances (or Mast Cell) but the strange thing is, no matter of the diet or strick the food restriction is, I have symptoms re-occurring every 6 days (shorter if the diet is not followed). This is even happening while taking 40mg of anti-histamine. I have read that Quercetine and DAO supplements could be helpful. I am from Canada and not sure where to procure DAO supplements as a trial in addition to Quercetin and the low histamine diet. Suggestions? This has been a fight for over 5 years so any bits of advice would be greatly appreciated. It’s interesting that your symptoms are occurring every 6 days. I wish that I have an explanation for you! To my knowledge, there is not a DAO supplier in Canada. It can be ordered through Amazon.ca, but it is more expensive than ordering it through http://www.umbrelluxdao.com and paying the exchange and shipping charges (about an extra $20 to Canada). Is turmeric good for histamine intolerance? Many clients find supplements helpful, but it is very individual. It’s a long process, but you need to figure out what works for you. Rather than haphazardly trying different supplements, experiment with them systematically. For more information on this topic, please read – Systematic Experimentation (a summary article from my client modules). Thanks for writing these articles. Natural factors quercetin bothers me. Is there a type that is lower in histamine? Supplements like quercetin have not be tested for histamine, but it is unlikely that it contains histamine (histamine forms when bacteria grows in food – see Histamine in Food). There is probably a different reason that this supplement bothers you (i.e., it is probably not related to histamine).